Since time immemorial, people in the Rhön have been good at celebrating! Countless festivals and traditions are celebrated since centuries - for example the traditional Kirmes (parish fair), one of the most ancient village and folk festivals in the Rhön. Its origins are church anniversaries which are celebrated every year. Another example of a Christian tradition is the annual Kreuzberg Pilgrimage when pilgrims climb the sacred mountain of the Franconians. Obviously, they also look forward to a jug of Kreuzberg beer, which has been brewed there for centuries. 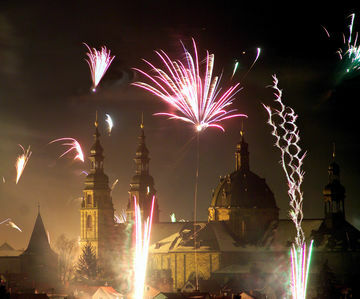 And the Rhön also goes carnival crazy, with small towns and villages - as well as strongholds such as Fulda and Geisa - now holding their own parades and "Büttenabend" celebrations where thousands gather, intending to join in with the mayhem. Every year. 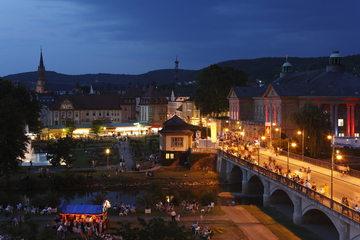 The spa town Bad Kissingen relives its historic past with the Rakoczy Festival, a grand festival with music, theatre, culinary highlights and a spectacular firework display, to commemorate the rediscovery of the spa waters with the same name in 1737. Please contact us for more informations on events and practiced traditions in the Rhön!